This weekend Tony Lopez traveled to Russia for World Ultimate Full Contact's "Challenge of Champions" event in Makhachkala. Lopez, current holder of the King of the Cage Heavyweight and Super Heavyweight titles, faced hometown favorite Shamil Abdurahimov, in the main event. Lopez defeated Abdurahimov by way of triangle choke in the third round. The submission victory tacked a third win to Lopez's current win streak. For Abdurahimov, the loss is only his second, making his overall record 12-2. 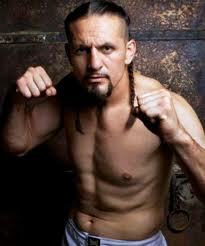 Tony Lopez has stayed busy in 2011, fighting 9 times to go 6-3 for the year. It should also be noted that in addition to his KOTC titles, Tony Lopez is also the current Gladiator Challenge Heavyweight Champion. Despite the loss, Shamil Abdurahimov remains a rising prospect in the heavyweight division. He is undefeated in ProFC competition, and his win column includes victories against Rameau Thierry Sokoudjou, and Jeff Monson. 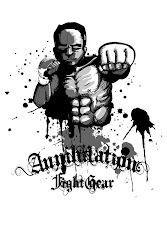 In 2010, Abdurahimov won the Abu Dhabi Fighting Championship's Openweight Grand Prix.